Here’s the cold, hard truth: part of your professional image is based on your appearance. I don’t like it either–sometimes even makeup artists want a break!–but studies say that people who look put together are typically taken more seriously and believed to be more competent, even before they say anything, than people who appear to have put in no effort. As an entrepreneur, I know I need to use every tool at my disposal to ensure that I’m doing the best I can in every part of my business, so if I can do something that will mean someone might take me seriously before I even speak, I’m on it. This post is for my fellow entrepreneurs and business owners who also want to put their best face forward. I’m going to teach you how to do a basic, polished and semi-quick makeup look. Once you practice a few times and get used to how to do it, you can bang out this routine in 15 minutes. Along with whatever wardrobe and hair styling make sense for your profession, this makeup look will help with your professional image. Eye Primer. If you want your eye makeup to stay on and last all day, you have to use this. And isn’t it your lucky day? I have a post all about how to prime those peepers, and which primer you should use to do it. Face Primer. You’ve already moisturized your face after your shower, right? Good job. Applying foundation primer while your eye primer drying is your next step then. A quarter-sized amount is plenty, and you can apply it with your hands, like you would with a moisturizer. Primer makes your foundation go on smoother and stay on longer. It doesn’t have to be an every day product, but if you are going to be at events, conferences or speaking to clients or investors all day, that’s a good time to use it. Laura Mercier Foundation Primer is my favorite. If you are going to be on camera or photographed for anything related to your business, I recommend a mattifyer like MAC Oil Control Lotion if you have oily or combination skin. You can use that instead of a primer. Shiny skin is distracting in photos and on camera, but you can help eliminate it with a mattifyer. Lip Balm. Dry, cracked lips are not a good look on anyone. And if you put lipstick over those lips? Hot mess. 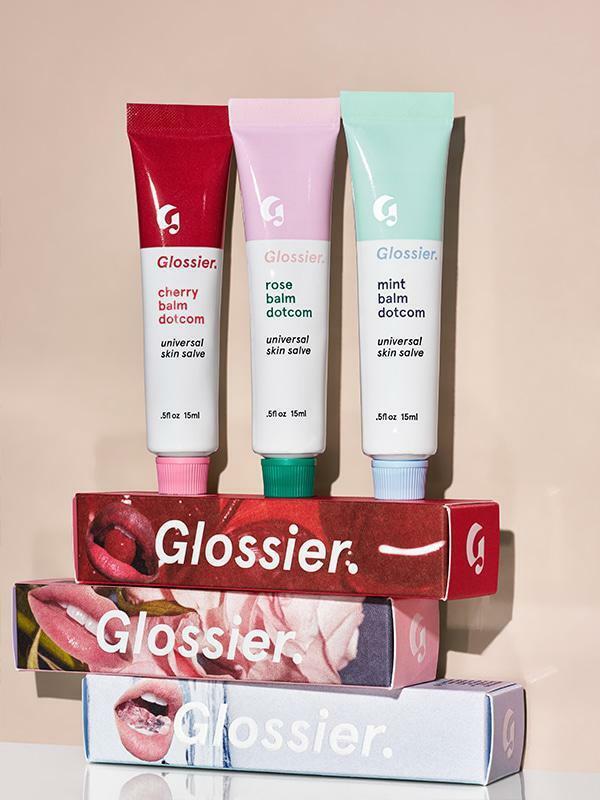 Applying a clear lip balm like Glossier Balm Dotcom will make your lips look and feel their best, just like you do when you book a big client/gig or have a killer sales month. Applying lip balm at the beginning of your makeup routine gives it time to fully absorb before applying lipstick, should you choose to do that step. Eye Makeup. When we are having a conversation with someone, they are (hopefully) looking at our eyes. They are subconsciously scanning our faces to see if we are honest and genuine, and that part of their impression of us comes from our body language and our expressions. Eyes play a big part in our expressions, so I say, frame them up. Depending on how far you go want to go with this, it can either take you one minute or five minutes. Here’s an easy how to for a polished eyeshadow look. Foundation. I’m calling it foundation because that’s what I prefer, but you can use a tinted moisturizer, BB cream or CC cream if that’s your jam. What’s important about what you choose is thatit matches your skin and evens out your skintone. I prefer a sheer foundation like MAC Studio Face and Body Foundation for dry and normal to dry skin, and Armani Luminous Silk Foundation for normal to oily skin (with a mattifyer under it for oily skin). Apply that with your hands or a foundation brush and blend it with a buffing brush. Start with a quarter sized amount and add more if needed. The idea is not to layer on the product and create a makeup mask. Foundation and its associates, when applied correctly, are meant to even out the skintone so anything that goes over it has a good base to blend into. Brows. I strongly recommend getting your eyebrows professionally shaped, even if you only do so once a year then maintain on your own with tweezers. If the eyes are the windows to the soul, eyebrows are trim for those windows. Why ruin pretty windows with jacked up trim? A pro shaping followed by some light brow fill in can work wonders. Eyebrows can make a huge difference in your poloshed versus disheveled factor. You don’t need to go crazy with brow fill-in–please don’t go all Instaglam on me–but a little brow powder, pencil or gel applied correctly can make a world of difference. The tutorials below will be a bigger help than my words here. From Benefit Cosmetics. They know how to do a natural brow. Concealer. Foundation may minimize some of your areas of concern, if you have any. Concealer is there for what foundation doesn’t cover as well on its own. I’m talking blemishes, redness and dark undereye circles. (For severe redness and dark circles, a color corrector may be needed first.) A pigmented concealer with a thin consistency, like MAC Pro Longwear Concealer, allows you to cover areas of concern without causing product build up. Nothing gives away “I stayed up working until 2:00am” like dark circles, so let concealer keep that a secret. Cheek Color. If you are tired and overworked (and you probably are if you are a business owner), your skin might look dull and washed out. 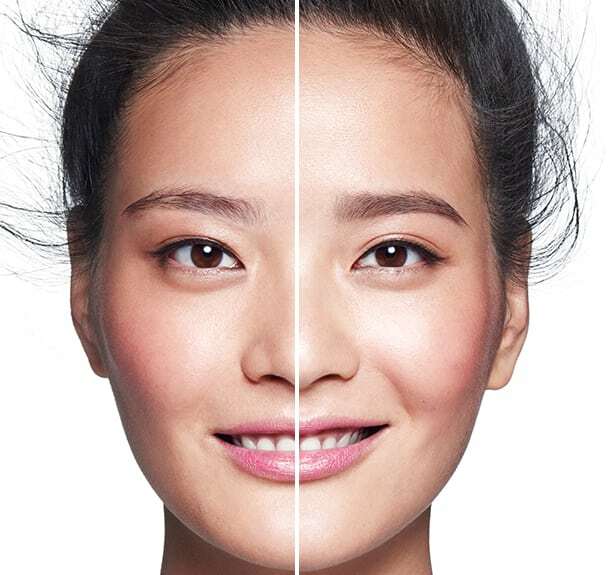 A good cheek color will make you look much more awake and put together than you might feel some days. I like a good cream blush, like Make Up For Ever HD Cream Blush because cream blushes blend well and often look more natural. Use your finger to apply a small amount to the apples of your cheeks and blend slightly upwards with another finger, a buffing brush or a makeup sponge. It’s like caffeine for your face! Powder. A good powder does two things 1) Sets the foundation so it stays in place and 2) Minimizes shine. You want to set your foundation so it stays on as long as possible because really, who has time to re-do their makeup? And shine, you see, can look like sweat, and never let ’em see you sweat. You can apply your powder with a sponge or a brush, but either way, press it onto the skin–don’t buff it in. Under the eyes, I recommend using a clean fluffy eyeshadow brush to lightly press it over your concealer, as that powder layer will act as a barrier to keep your bottom lash mascara from melting when it hits your concealer. This whole powder step for both your face and under your eyes is super important and won’t take more than one minute. 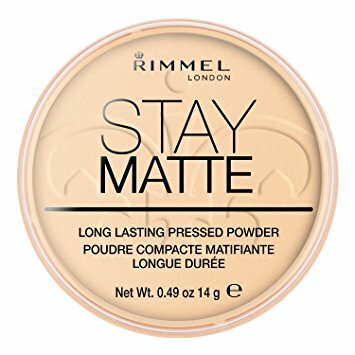 Rimmel Stay Matte Powder is a solid choice in this department. Rimmel Stay Matte pressed powder. This has been in my personal makeup bag for years. Bottom Lash Mascara. You can either use your regular mascara or get a beauty tubes mascara like Clinique Bottom Lash Mascara. Beauty tubes do not smudge, so if your mascara smudges even with powder over your undereye concealer, consider the tubes. You may want to skip this step on regular days, but I do recommend it if you are going to be filmed or photographed, as it really helps define the eyes. Lip Color. If you’re shy about lip color, you can knock out two steps at once by using a tinted lip balm. If you’re going to go full on lipstick, make sure the color you choose looks right with the top you are wearing. (The watermelon pink lipstick you love may look great when you have a white shirt on but will clash with a red sweater.) Using a lip brush to apply your lipstick will help keep it looking more polished, since that allows you to control the shape of the color at your liplines. Cheek Color Revisited. I like to use more cheek color–either cream or powder–at the end of my application to make it a little brighter, and because an extra layer will help it stay on longer. This is a completely skippable step, but if you’re a blush gal, I think you’ll like it. If you are being photographed and are doing your own makeup, definitely add some extra blush, as photography requires makeup to be a little more intense to show up in pictures. This may seem like a lot of steps, but none of them on their own will take you more than five minutes. And I’m really breaking it down here, so that makes this post look long and maybe intimidating. But the actual process is not! Other than helping you look more polished, a basic look like this will help take away from what I call “face distractions.” Whether they realize it or not, people experience split seconds of distraction when they see something that is “off” on a face. Shiny skin, uncovered blemishes, unruly eyebrows–you know what I’m talking about. If you surveyed a group of people, most would probably say that stuff would never distract them. That’s because they are not even realizing it. Trust me, I get hired on corporate shoots and commercials to take away physical distractions so the viewer/client/customer is focused on the message of the person they are watching, not a red nose, smudged mascara or a super shiny forehead. I’ve linked to some tutorials below because sometimes you just need to see a makeup step in action. These tutorials were all done by true pros, so you can trust them. There are a ton of tutorials out there done by beauty influencers who don’t really know what they are doing, but I would never lead you astray like that. You don’t have to do all or any of these steps every day, but it might be a good tool to use for when you are in the public eye, meeting with clients or promoting your company. This may seem like a lot, especially if you never wear makeup, but you can definitely do this. I mean, you run a business! This might be the easiest thing you do all day. But if you have questions, I have answers, so comment away. Some of the steps are different in these, but that’s okay! They know what they are doing. If you’re a gel liner girl. A different type of basic eyeshadow look. Lisa makes some really good points about work makeup. And this one is eyeliner-free, for those of you who aren’t liner fans. A great eyebrow tutorial. You don’t have to do the last two steps, but Charlotte gives some great tips to create a more stylized brow. A solid foundation and concealer tutorial. A quick bit on how to apply cream blush.